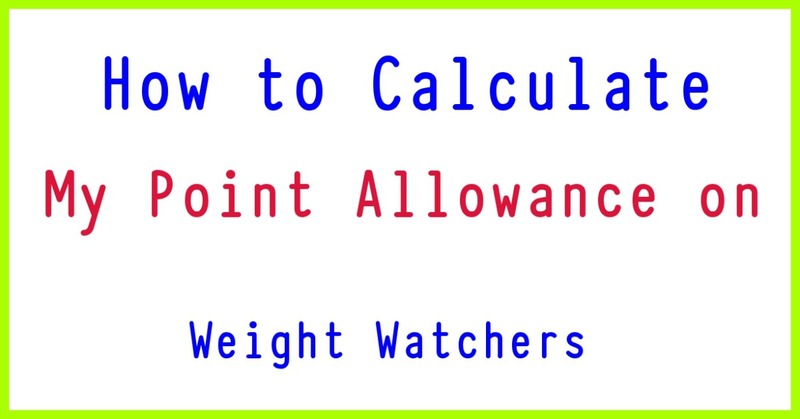 weight watchers recipes: Can I Calculate My SmartPoints Allowance on Weight Watchers? Weight Watchers has helped countless people lose weight with a system that diverges slightly from the traditional strategy of counting calories. Since 1977, the program has used a points system -- which was revised again in 2015 as the SmartPoints plan -- to help you make healthier choices and live a better quality life. Every food is assigned a specific number of SmartPoints based on a patented formula that takes into account its carbohydrates, protein, calorie, sugar and fat content. Every subscriber is then prescribed a daily SmartPoints goal and decides how to spend their points. Calculating your personal SmartPoints allowance can only be done by your Weight Watchers leader, with a specialized Weight Watchers points calculator, or via the online app. How Does the SmartPoints Plan Work? Weight Watchers likens the SmartPoints program to a personal financial budget. You get a certain number of these SmartPoints depending on your weight loss or weight maintenance, as well as your physical stats -- such as age, weight, height and gender. You then spend your SmartPoints on foods, which each carry their own SmartPoints value. In addition to your daily points value, you also get a certain number of "free" weekly SmartPoints to spend as you like. These act like a savings account -- if you splurge one day and exceed your SmartPoints -- you draw down on the weekly savings. Daily SmartPoints don't carry over day-to-day or week-to-week, though; you can't save them up. Weight Watchers encourages you to use the SmartPoints however you like, but notes that you'll get the most satisfaction and volume if you stick to foods that are low in SmartPoints value. Weight Watchers offers three ways to use their program: online tracking, one-on-one personal coaching or group meetings. The one you choose depends on your personal preference and price point. When you enroll for any of them, the program on the app, the calculator or your leader uses your weight, height, gender, age and goal to figure your SmartPoints. Even if you could calculate your SmartPoints allocation without being a member of Weight Watchers, it'd be meaningless. You need the app or the specialized calculator to determine how to spend your points -- only these methods will tell you the number of SmartPoints in a particular food. As you lose weight, your SmartPoints number adjusts so you can continue to drop pounds. The point number that helps you lose weight initially may be too great when your body shrinks in size. A smaller body uses less energy, so it requires fewer points to continue to lose weight. When you reach your goal weight and switch to maintenance, your Weight Watchers SmartPoint target shifts slightly upwards to keep you from losing too much weight. This higher point value helps even out your energy balance, so you consume and expend relatively equal amounts to maintain your weight. Sustaining a successful weight loss requires you continue to make good food choices most of the time, though. The SmartPoints value of a food depends on its calories, sugar, carbohydrates, protein and fat. The type of fat also influences the value; for example, saturated fats are weighed more heavily than healthy unsaturated fats. Lean proteins, such as a chicken breast or canned tuna packed in water, have lower SmartPoints values than fatty meats. While you need access to the app or calculator to determine SmartPoint values for most foods, including restaurant and name-brand choices, Weight Watchers offers some examples on its website. A whole egg, for example, carries 2 SmartPoints; 2 tablespoons of low-fat shredded cheddar cheese provides 1 SmartPoint; 1/2 cup of beans or lentils contains 3 SmartPoints; and 3 ounces of lean pork offers 3 SmartPoints. Most nonstarchy vegetables and fruits have 0 SmartPoints, including lettuce, broccoli, cucumbers, beets, tomatoes, berries, apples and bananas, to name a few. Starchy vegetables such as sweet potatoes, corn and peas, as well as dried fruit, do carry SmartPoint values. They're inherently higher in calories and sugar per serving than watery options. If you don't feel like tracking your SmartPoints one day, or ever, Weight Watchers offers an alternative. The Simply Filling approach guides you to choose foods that are inherently low in points. An online list of these foods is available, and they are marked with a green circle on the mobile app. You determine portion sizes -- eating until you are satisfied, but not too full or still hungry. Foods on this list include all watery, fibrous vegetables and fruits. Even potatoes, corn and peas can be eaten in moderation, but french fries, buttered vegetables, avocado and plantains are off limits. Modest servings of all plain whole grains, such as brown rice and oatmeal, are also permitted, but you're to avoid white pasta, rice and grain mixes with added salt and fats. Freely enjoy fat free dairy and lean proteins, such as chicken, fish, lean steak and reduced-sodium luncheon meats. The Simply Filling plan also gives you leeway to daily eat low-calorie bread, most spices, low-fat condiments and 2 teaspoons of healthy oil, such as olive oil or flaxseed oil.